The Best Quality Colored Pencils – Make Your Work Really Shine! The best quality colored pencils can take your drawing or coloring approach from drab to fab – while the duds, well you guessed it – will pretty much make it less enjoyable to learn. Do you want to learn to draw and color with colored pencils? Maybe right now you don’t want to fool with messy paints, and still be able to create work that looks amazing with similar techniques? Great, because I did too; on some occasions when I could not paint because it was too messy for a traveling or roommate scenario, I was glad to have colored pencils nearby. I mean, you can make a piece of work that’s out of this world just with them and as long as you have some good paper you can rival any canvas masterpiece. And not make a mess either – awesome right? OK, let’s dive in now…. 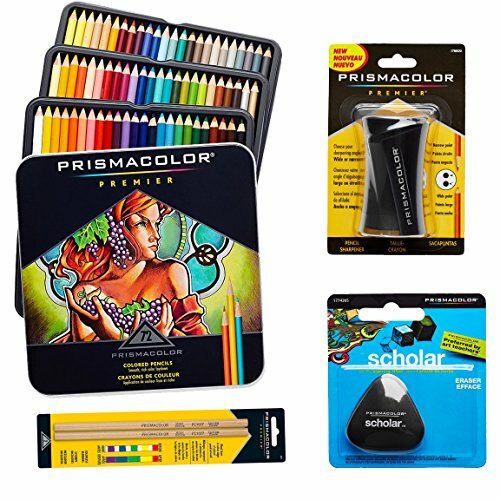 The Best Quality Colored Pencils - Make Your Work Really Shine! 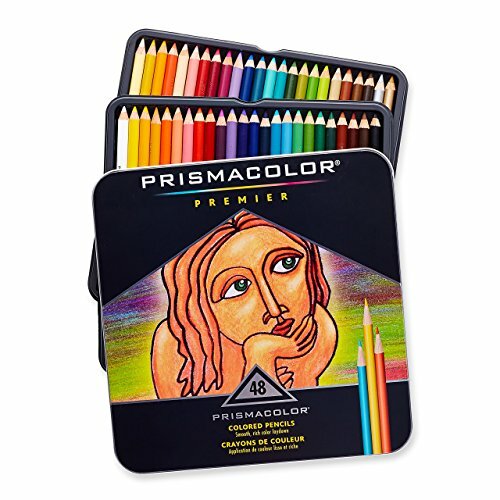 Why Do You Need Professional Artist Colored Pencils? 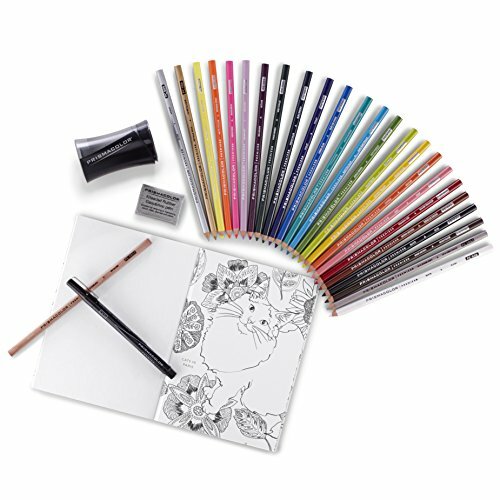 What To Look For in a Quality Colored Pencil Set? Best Quality Colored Pencils - Winner! 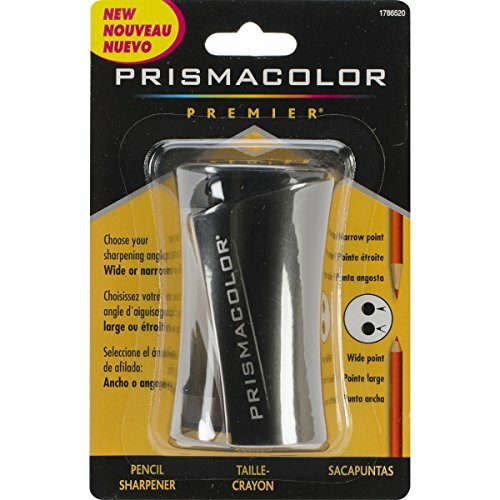 What Makes Berol Prismacolors the Best Colored Pencils for Artists? There Are Lots of Different Prismacolor Pencil Set Options! Whether you’re serious about them at a full time medium, or perhaps needing a good set to try your hand at some coloring book art pages, here’s the skinny – they are not all created equal. I have had sets that were not as easy to color with. The lead of the pencils felt too harsh, and my resulting work felt amateurish looking. Once you get used to the best quality colored pencils you want to stick with them for good. This is what you need to have, anything less is going to set you up for problems! Strong leads – You should not feel like they’re going to snap when you press down (within reason) a little. Rich colors – An obvious one, but some brands out there don’t cut the mustard for me as I need vibrant colors that really shine! Smooth application – Whether you’re layering or building various colors or tones, there should be no “skips”, drags, or choppy feel going on. Best Quality Colored Pencils – Winner! Once a millennia ago, I was taking an extracurricular art class for fun, in which a good sketch pad and a set of colored pencils was the prerequisite. I was probably not even in junior high yet. We all needed to know just like you’re asking right now who makes the best colored pencils for artwork. My instructor, who was also a children’s book author and illustrator, said the best colored pencils for artwork are made by Berol Prismacolor. So that is exactly what I got. And she was right, they are exceptionally good pencils. See, there I was even then starting off on the right foot! That’s why I don’t settle for less and you shouldn’t either! 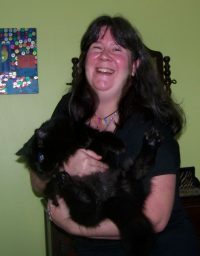 Did I mention I had a good time – and a good grade in class? And I continue using Berol to this day! The colors look GREAT – not washed out, and they go on like silk on glass. I was learning techniques like shading and values, and the last thing I needed was to struggle with hard leads that didn’t produce good color gradations. The image above is of my Berol colored pencil collection – yep, some of them go all the way back to my art class days! You may notice that some of the pencils say “Eagle Prismacolors” and yes, they are the same company before changing their name a little. Soft core leads enabling the user to do shading transitions on a dime. With my Berols, the light to dark transition is great. I don’t seem to need to sharpen them much either. That’s another plus; the less you have to sharpen your pencils the better, it means they will last longer. Lots of big-league artists right now can’t be wrong. They’re as pleased as I am; from art pros to regular coloring book users. I also feel like the prices are reasonable, even with the larger quantity sets. Treat yourself to a set of Berol Prismacolors now…you can thank me later! For your enjoyment, there are several unique types of sets, refer to this list to determine which is best for you and your coloring goals. Premier: Designed with a “soft core” that is a little waxy, as the name implies, they have a great lead you won’t have to worry about ever breaking. Great for shading in larger areas. Verithin: Same great quality, but slightly firmer lead than the Soft Core, these are made with precision sharpness for detail work like outlining. I have some Verithins too, which I combine the use of with the “Soft Core” for an easey-peasy workflow! Art Stix: These are uniquely designed in that sharpening is optional – now this one in particular I haven’t tried, but it’s definitely worth exploring. Mixed Media: Kind of a “sampler” set , a little of each of the whole she-bang, the three above. In addition to the variations above, the color quantity range starts with 24 and the largest I’ve seen (so far) is 72. There is also a nice metal tin included (wish I had one of these now) and the “Scholar” set that has a built-in easel-display case. So what are you waiting for, get yourself some Berols and get coloring!